Magento is one of the most popular eCommerce platforms around. They offer a free version as an open source software called the community edition. This is free for all to download and setup their own eCommerce website. This version highly features rich and is one of the reasons why Magento is now so popular. In addition to this version, Magento offers several other versions for larger businesses although those come at a cost. ‘Magento Enterprise Cloud edition’ is one of the other options when it comes to eCommerce. The cloud edition brings many changes to the way one thinks about hosting. One of the most common issues with using other options is that there is the potential for failure due to common server issues like server spikes or traffic spikes. This is not the case with the Cloud Edition since it is not affected by those factors. With the Magento Enterprise Cloud Edition, it is possible for the business owners to concentrate on expanding further in many different markets and engage with new customers. Magento works in the background constantly monitoring the environment and other issues to provide a hassle free experience. Magento’s cloud hosting solution also helps you get set up faster and reach out to customers at all times. Magento Enterprise Cloud Edition is a Platform-as-a-Service (PaaS) environment that runs on Amazon Web Services (AWS) and has been designed to use with Magento 2. – The web store fronts developed using the Cloud edition are also highly scalable. – Any change in technology causes several issues and at times require a big change which also means big cost. However, implementing the cloud technology means it is an easier update to a newer and better technology at minimal cost. – The AWS platform allows for quick and easy day to day management as well. 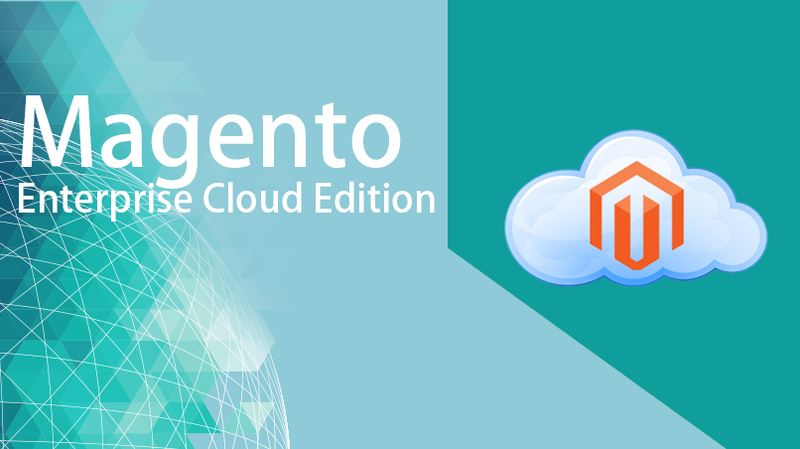 The Magento Cloud edition is different from other versions in more ways than one. With the cloud edition, you do not need to worry about any server issues. In addition to which it is quite common for a website to have a performance issue during the festive season due to high traffic. This is not the case with the cloud version since it is not affected by server or traffic issues. The process of store setup is much easier when choosing the cloud option. It is also possible to keep the development costs low with the cloud option where development is faster and simpler. In fact, with the cloud option, everything is faster, the setup, development and even the website (with better performance). In addition to this, the real-time monitoring tool allows for faster and accurate monitoring and analysis of the website and sales. Alakmalak is a Magento Development Company and has developed many eCommerce websites over the years. With clients all around the world and a large team of highly skilled and experienced developers, Alakmalak is involved in the development of many different types of websites. It is also possible to Hire Magento Developers at Alakmalak.